When the deep freezer or the freezer compartment ices up, it becomes smaller and the energy consumption goes up significantly. Thanks to HG freezer de- icer, this ice can be removed simply and quickly, without the frozen food having time to defrost. 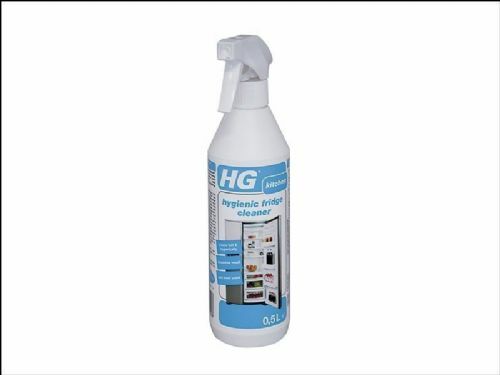 Regular use of HG HG freezer de- icer reduces icing-up to a minimum. This saves costs because of lower energy consumption and it extends the lifespan of your freezer. Turn off the freezer, empty it and scrape away and remove any ice which is easily loosened (the thick layers). Spray the remaining ice evenly and liberally with HG freezer de- icer. Leave to work for 5 to 10 minutes and then scrape away any loose ice. After removing the ice, dry the walls of the freezer, and the freezer can be switched back on, ready for use again.